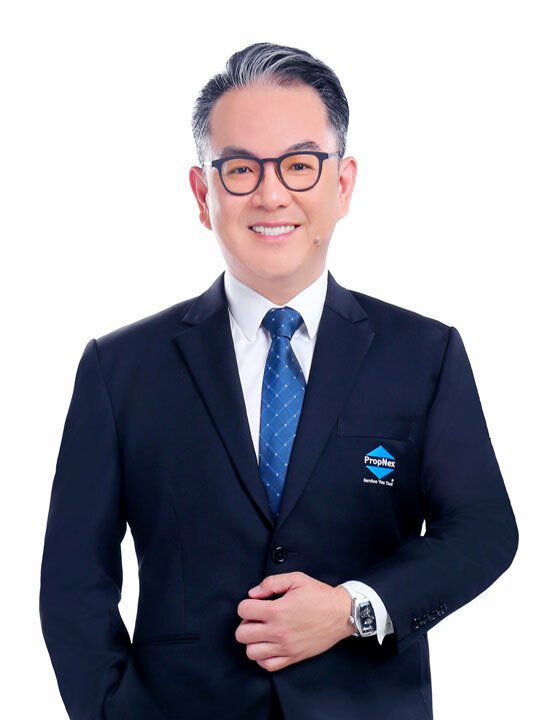 “Striving to set the benchmark for professionalism, expertise and integrity in the luxury real estate industry, I drive myself to always meet and exceed the needs, goals and expectations of clients and team members. With over 17 years of experience in the business, I am committed to exceptional service. Specializing in high-end homes and luxury high rise properties, I work hard everyday to ensure that I am able to give sound and timely advice on the luxury real estate market. Sophisticated clients demand a high level of service and expertise. The Lux Team’s mastery of the market, continually refined skills, and team of dynamic, highly experienced professionals has earned us a reputation of being trustworthy, responsive and reliable. Our marketing plan is a refined combination of internet marketing, virtual tours, print media, direct mail and a highly developed networking system of top luxury realtors and past and prospective clients. This wealth of knowledge often makes us a source of information for investors, developers and other realtors to rely on. We are always tuned in to the pulse of the market to best serve clients. Always available, no call goes unanswered, no request untended to. Service is key. Our overriding priority is helping clients achieve their real estate goals in both buying or selling. Always relentless in our pursuit of excellence, we will never surrender the fight to set the benchmark for professionalism, expertise and integrity in the industry. We are a team of real estate professionals drawn from the best to deliver a high level of service to meet and exceed the demands and expectations of sophisticated clients. 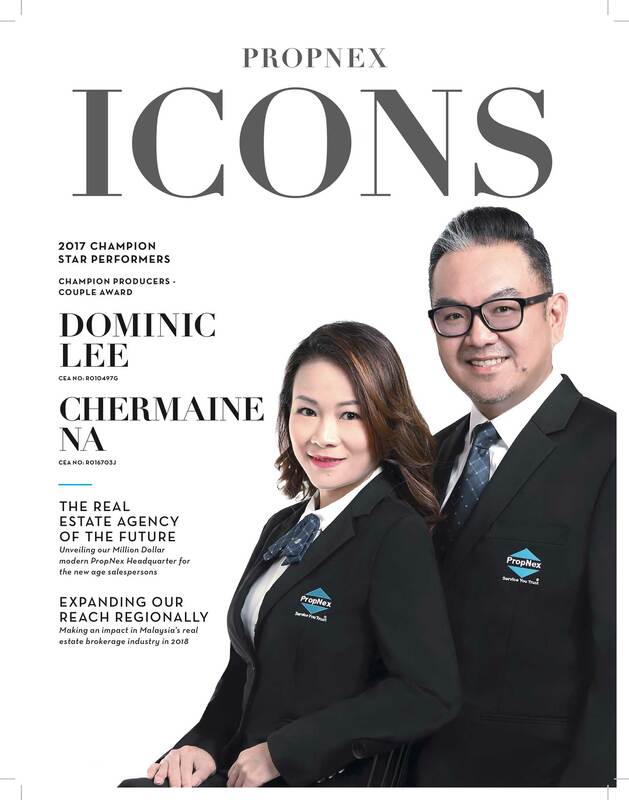 Our relentless pursuit of mastery in the Singapore luxury property market has earned us the reputation of being industry leaders that continue to break records. We never compromise and we will always do the best for you. Here is a recent interview of my wife Chermaine (who is also in the business) and myself. Thanks for reading and have a great day! 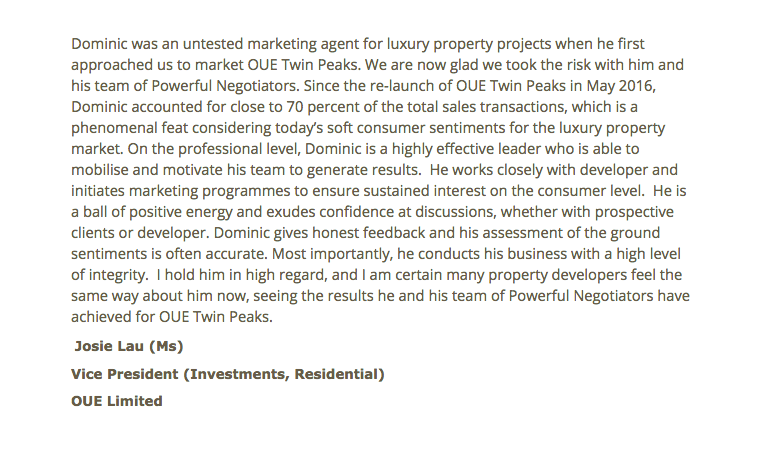 I am always eager to connect with like-minded investors who are on the lookout for great long term investments in luxury real estate. Call me or text me or drop me a message here.